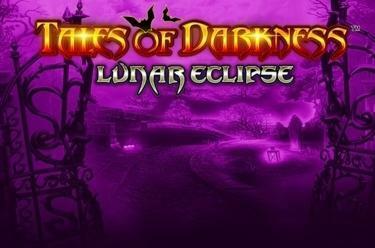 Play Tales of Darkness™ Lunar Eclipse online for free now! You can leave your garlic, silver bullets and wooden stakes at home. 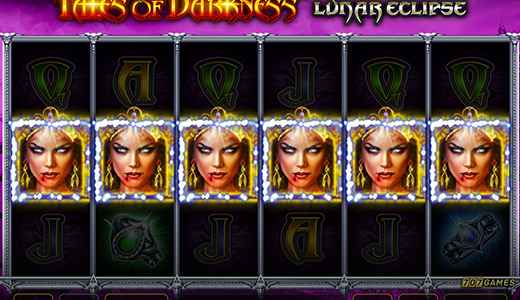 The beautiful vampires in Tales of Darkness™ Lunar Eclipse are all on your side! Discover the treasures of the night across the six reels and ten fixed win lines of this slot and remain focussed on your prize as the bats swarm around you. Six identical symbols side by side on one of the win lines running from left to right will fill your coffers with Twists. And as if that wasn’t enough, Three or more matching symbols along a win line are already enough to boost your Twist balance! The Full Moon symbol with the words “Scatter Wild” can help you land line wins wherever it appears. And if you land three or more of them anywhere on the reels, ten exciting Free Games will begin! The Full Moon symbol can complete winning combos even in the Free Games by substituting for other symbols (except for the Bonus symbol), as well as trigger further Free Games. At the beginning of the Free Games, a regular symbol will be chosen at random as the Bonus symbol. This gold version will replace the original symbol on the reels and appear as a stacked symbol in the Free Games. It may only appear on reels two and five. When it does appear, it will expand horizontally to cover the two adjacent positions to increase your chances of winning significantly. It enables wins on all lines, from left to right and from right to left! There is just one exception: Six matching symbols pay out from left to right only. Fancy a spooky slot experience? Then Tales of Darkness™ Lunar Eclipse is the game you’ve been waiting for! Begin your reel adventure in the realm of the vampire and, with a little luck, you’ll soon be enjoying action-packed Free Game fun that will live long in the memory!